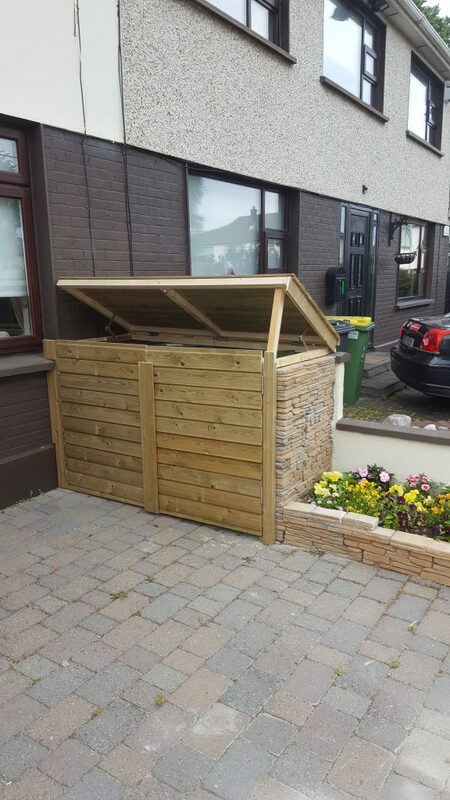 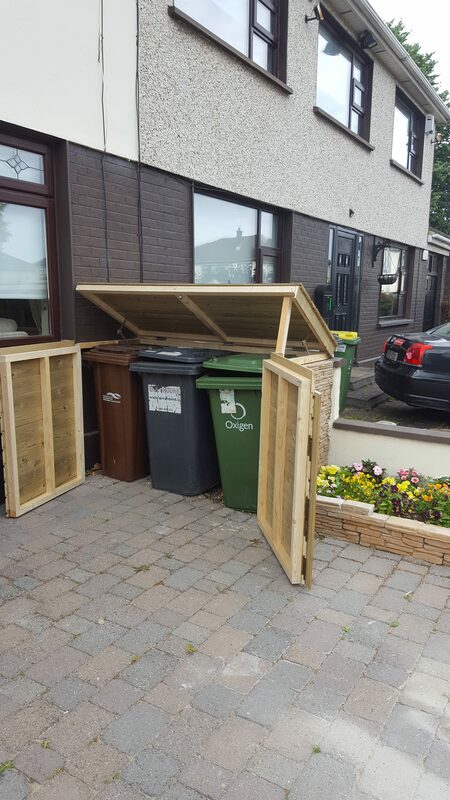 I recently made this wheelie bin shelter in Kingswood in Tallaght Dublin. The rubbish bins are hidden behind 2 front doors that open and the lid lifts up for easy access to put rubbish in without taking out the bins. 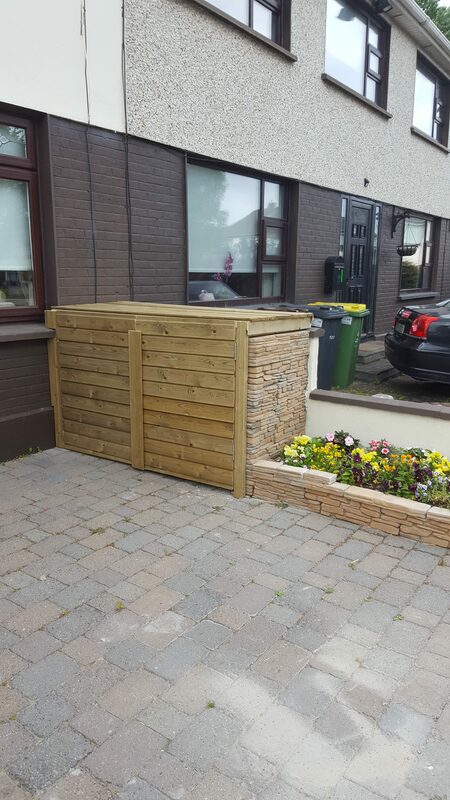 The wood is treated shiplap.